I was all set to write a swell puff piece on my pals over at Luxuria Music when this landed in my email box. It said it for me in ways that I could not, because it is from Luxuria! Read it, don’t weep, and dig deep into your pockets for even your littlest penny. Because even that will help. So you would think that since we had a surprisingly successful pledge drive last year, this year’s pledge drive would be a “piece of cake” too, right? Well, unfortunately not. In comparison with where we were at on Day 8 of last year’s pledge drive, we are almost $2000 behind schedule. To make matters even worse, our main computer – we call it Luxotron 5000 – seems like it is about to die. Luxotron 5000 is a six year old hunk of iron that has been running for 24/7 since 2006. You might have noticed that when one song transitions to the next there is a slight delay, or a digital hiccup… that’s poor old ailing Luxotron 5000 grasping for breath. Our livelihood is dependent on an ancient computer staying alive until we can afford to buy a new computer. Scary, huh? 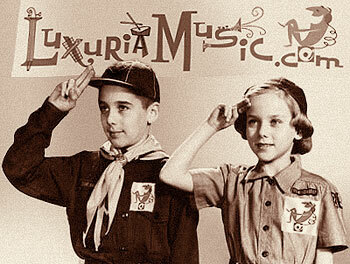 So we are asking you guys to please make a donation to LuxuriaMusic this week – preferably TODAY. Next week might be too late. If Luxotron croaks, it will more than likely be too late to save the station because with the money we have in the bank right now, we would not be able to buy a new computer AND have enough money to pay the rent and all the other bills that need to be paid in order to keep LuxuriaMusic on the air. It all sounds so dire, yet it doesn’t have be. We are just $2000 behind in our fundraising right now. If everyone that receives this letter just pledged a few dollars to LuxuriaMusic we would have enough money to cover our expenses and buy a new energy efficient Luxotron 10000. We know we can do it because we did it last year. It all depends on you! We have a lot of great donation premiums available like bumper stickers, LuxuriaMusic t-shirts designed by incredible artists like Shag and Kevin Kidney! You could buy a LuxuriaMusic coffee mug, or you could get one of the fine CD’s that are available (courtesy of Dionysus Records). Also, just like last year, you can sponsor a piece of equipment in the studio. For more information, just go to Luxuria Music and click on DONATE. One Response to Luxuria Music: Pledge Time! 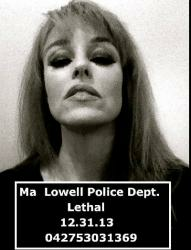 ALL are Donna Lethal adorers!